Otto Warmbier, an American college student who was released by North Korea in a coma last week after almost a year and a half in captivity, died Monday, his family said. The 22-year-old "has completed his journey home," relatives said in a statement. They did not cite a specific cause of death. 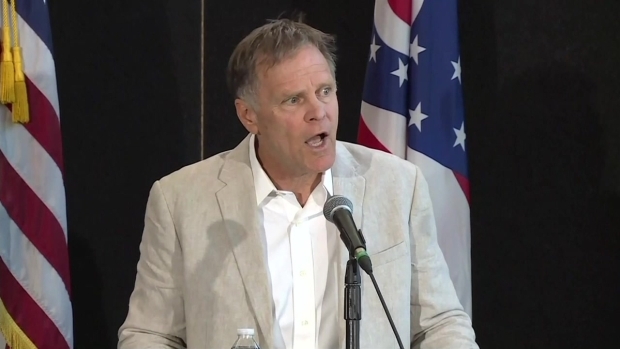 Fred Warmbier, the father of the American college student who spent the last TK months as a prisoner in North Korea, Otto Warmbier, spoke to the press on June 14. Otto is in stable condition. His father, Fred Warmbier, said last week that he believed Otto had been fighting for months to stay alive to return to his family. Their statement Monday said he looked uncomfortable and anguished after arriving June 13, but his countenance later changed. "He was peace. He was home, and we believe he could sense that," they said. 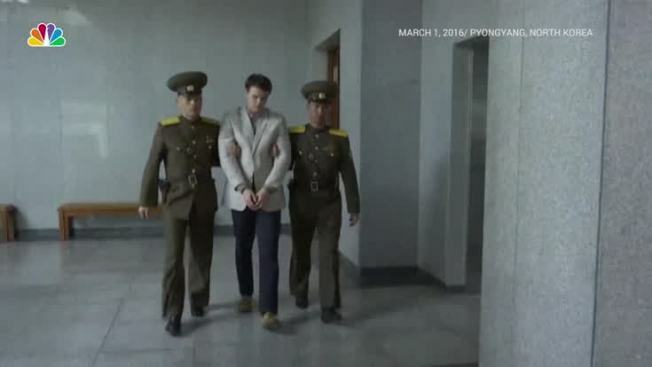 Warmbier was convicted of subversion for allegedly trying to steal a propaganda banner while visiting with a tour group. He was put before North Korea officials and journalists for a televised "confession." "I have made the worst mistake of my life!" he exclaimed, choking up as he begged to be allowed to reunite with his parents and two younger siblings. He was sentenced to 15 years in prison with hard labor. The University of Virginia student was held for more than 17 months. His family said they were told he had been a coma since soon after his March 2016 sentencing. 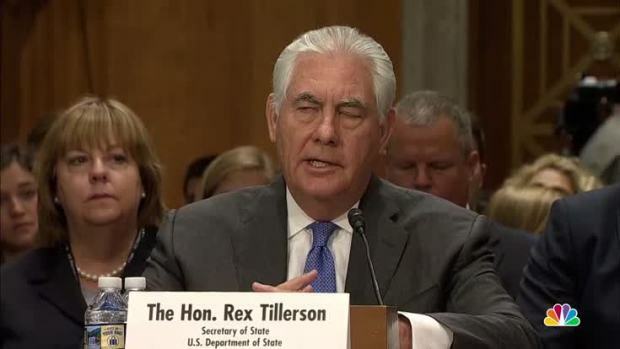 American college student Otto Warmbier has been released from North Korea after being held captive there since January 2016, Secretary of State Rex Tillerson confirmed during a Senate hearing on the State Department budget. His parents told The Associated Press in a statement the day of his release that they wanted "the world to know how we and our son have been brutalized and terrorized by the pariah regime." Fred Warmbier praised his son's "performance" and President Donald Trump's administration. He was critical of the approach to his son's situation taken by former President Barack Obama's administration. In a White House statement, Trump said, "Lot of bad things happened, but at least we got him home to be with his parents." 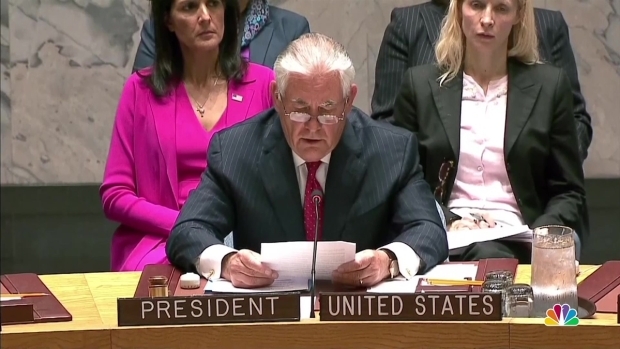 He called North Korea a "brutal regime." The younger Warmbier grew up in the Cincinnati suburb of Wyoming. He was salutatorian of his 2013 class at a highly rated high school, and was on the soccer team, among other activities. He had had planned to study in China in his third year of college and heard about Chinese travel companies offering trips to North Korea. Young Pioneer Tours described itself as providing "budget tours to destinations your mother would rather you stayed away from." Its travel options also included Iran, Iraq and former Soviet countries. On Tuesday, the group said on its Facebook page that it would no longer take U.S. citizens to North Korea. It explained that the risk American tourists face in visiting the country "has become too high." Warmbier was in the process of leaving North Korea on Jan. 2, 2016, when he was detained at the airport. The State Department warns against travel to North Korea. While nearly all Americans who have been there have left without incident, visitors can be suddenly seized and face lengthy incarceration for what might seem like minor infractions. Jeffrey Fowle, also from Ohio, was detained in 2014 when he intentionally left a Bible in a night club. Fowle was freed after six months. He said he was kept isolated most of the time but not physically abused. He and others freed from North Korea have said they were coached and coerced into giving confessions. 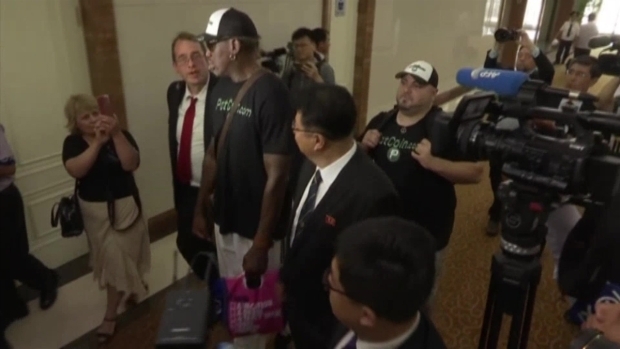 Dennis Rodman, the former NBA bad boy who has palled around with North Korean leader Kim Jong-un, flew back to Pyongyang on June 13 for the first time in Donald Trump's presidency. He said he is "just trying to open a door" on a mission that he thinks his former "celebrity apprentice" boss would support. Rodman has received the red-carpet treatment on four past trips since 2013, but has been roundly criticized for visiting during a time of high tensions between the U.S. and North Korea over its weapons programs. At the time of Warmbier's release, a White House official said Joseph Yun, the U.S. envoy on North Korea, had met with North Korean foreign ministry representatives in Norway the previous month. Such direct consultations between the two governments are rare because they do not have formal diplomatic relations. Yun learned about Warmbier's condition in a meeting a week before the release from the North Korean ambassador at the U.N. in New York. Yun then was dispatched to North Korea and visited Warmbier June 12 with two doctors and demanded his release on humanitarian grounds. His hometown had rallied around his family, wrapping school-color ribbons around trees and utility poles lining Wyoming's main road. People chanted "Otto Strong!" and "We love you!" after his father's news conference last week at the high school. Warmbier was "generous, outgoing, sweet, smart as a whip, just an overall good guy," Danica White, his sophomore English teacher, recalled last week. He brought "this brightness" and excitement to the classroom. On Monday evening, she said: "Otto will be dearly missed."